I was reading an article by Professor Charles J. Reid, Jr. discussing rather education could lower recidivism rates. He references Christopher Zoukis’ book, College For Convicts. I thought Reid had some great points and I wanted to discuss them here in this post. In College For Convicts, Zoukis suggested that maybe if inmates obtain degrees, their odds of going back to prison and committing a crime could be reduced. I’ve never read this book, but based on my experiences there may be a point to this evidence. People commit crimes because of lack of money or resources. I spent time with inmates who committed crimes because they couldn’t get the money they need to handle their responsibilities. Most of these individuals had minimum wage jobs and were unable to obtain a higher paying job because of their education or lack of skills. I’ve served time with inmates who never obtained a GED. As I mentioned in my book, Subprime Felon: Inside Federal Prison Camp, it’s possible for inmates to serve their entire sentence without obtaining their GED. This means that they are very likely to be unemployed, which is usually a violation of probation. It also puts the inmate in a position where they are unable to compete for jobs, giving them the impression that they would need to commit crimes to pay bills. In regards to the above information, I am not suggesting that formerly incarcerated individuals with master’s degrees will be making $65,000 or more a year. I am saying that based on those stats, I can see how an inmate with a high degree could reduce his chances of returning to prison. He would more than likely find a job that he enjoys and benefits many people, thus feeling rewarded. This would give him the chance to earn the money needed to sustain the lifestyle he desires. However, without a master’s degree, the inmate could see if self-employment or entrepreneurship are fruitful opportunities. Otherwise, the inmate may find a demeaning job which he’ll hate. This could put him into a position where he’ll have to choose to sacrifice his manhood for pennies. When I was working as a dishwasher that is how I felt. As I washed the dishes, I would routinely have hot or dirty water splashed in my face. The ‘front of the house’ employees and managers would look down on me because of my position in the restaurant. Although I was actually more educated than they were, they only saw a Black man washing dishes. In an effort to resign, I sought out jobs that I normally wouldn’t keep or work to gain a promotion in. However, since I graduated with a degree in English with a concentration in Creative Writing, I can work as a writer. When I write I feel free from all the drama and office politics. I feel as if I’m spending time doing something meaningful for the community. 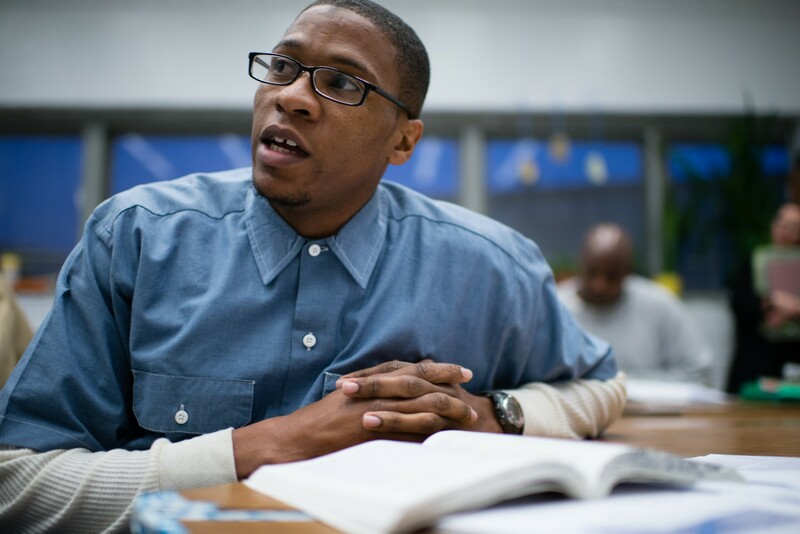 What if it is possible for inmates to reduce their chances of going back to prison with education? Based on my life after prison camp, inmates should further their education and improve their chances in society. What do you think? Add your comments below in the discussion section.